So what you'll get? Quirky and bizarre Far-Side type comics I call my Space Cadet Bling comic strip, (Long Live Gary Larson! ), crazy mashups that could end up on a T-Shirt, occasional doodles, character drawings and more! I know this is a little all over the place so you can visit my site at instagram @spacecadetbling & my site at www.spacecadetbling.com & let the pictures do the talking. In the end, I want to create my own comic series, my magnum opus, of a world with space animals and I'll occasionally throw drawings of them in here and maybe that could take over my life full time when that gets enough support here. My eternal thanks and the feeling that you get in making a struggling artist very very happy and wanting to keep doing more. Even more eternal thanks if there ever could be such a thing, but over here, because things are silly & don't make sense, it could! And of course, all previous rewards! The universe blows up coz it's eternity plus 3! Thanks thanks thanks! 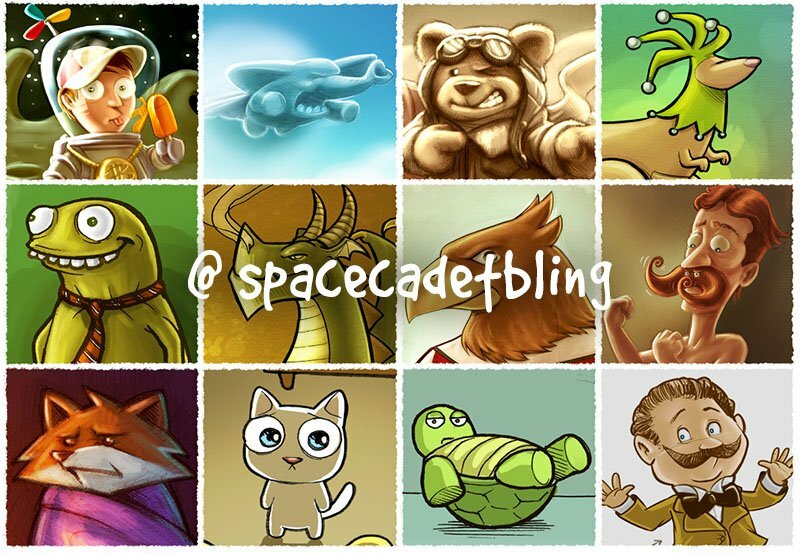 Peek into my worldbuilding projects, sketches and previews of my upcoming projects including my magnum opus 'Untitled Space Animals' story. And of course, again, all previous rewards! A postcard per month, sent by me, plus a quickie comic and random doodle inside along with a shoutout on my Patreon post! All achievements & bonus rewards unlocked! Help me get to $100 and I'll be like Sally Fields, screaming, " You Like Me, You Really Really Like Me!" and I'll do more of the same and share my drawings, cartoons and stories to you and the world. Shooting for 4 comic strips a month, and more to spare, including artworks, "artoons", character drawings and more!